I was contacted by a very proud sister this week who wanted to share a poem she had written for a very special man in her life. That man wonderful is Brandon and he is Sadé's brother. Together with brother Liam, the three siblings were brought up by an incredible and strong woman. Sandra was a single mum and not only went through the agonising worry of Brandon's heart surgery when he was little alone (and many of us know from experience what a difficult time that is) but also tirelessly pushed him to reach his potential and become the young man he is today. What a role model for us all. 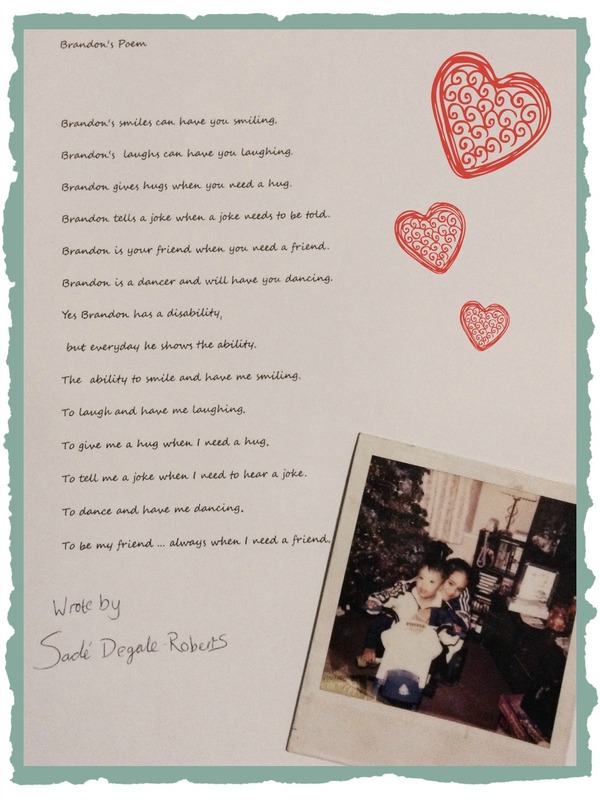 Sadé's poem is written from the heart and says exactly what so many of us feel about our loved ones who have Down's syndrome. 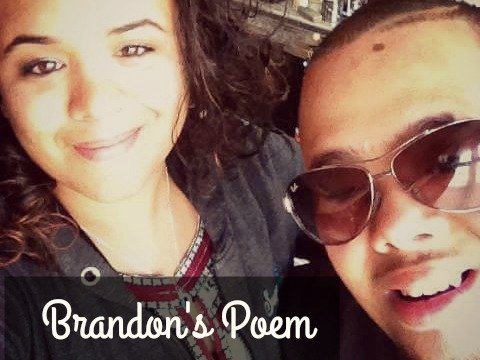 The piece was even read out at Brandon's end of school ceremony, as he graduated into college, and apparently there wasn't a dry eye in the house. I can certainly believe it as I too had to dab my eyes as I read it over my morning coffee. I attached the photograph of the poem that Sadé sent me. There is so much beauty in the way she writes, she truly has a natural way with language, speaking straight to our hearts.